Our customer provides processing and exporting services to the plantation timber industry. The company has designed and operates a state of the art wood processing and export facility at the Port of Bunbury. All of the company’s timber is processed at the facility in preparation for export to the company’s international markets. During the shipping loading process it is paramount that the functionality of the conveyor performs reliably. Any conveyor breakdowns or emergency maintenance that might occur during the allocated loading time, would cause a delay or detention of a ship during this timeslot. This would then potentially create significant additional expenses. Grooves were beginning to form on the belt itself, where a rubber skirting product was being used. The customer’s objective in this situation was simple – to protect the conveyor belt from any further signs of wear damage. The customer has now installed the K-Snap-Loc® Dust Deal System. The superior low friction properties of the engineered polyurethane has immediately prevented any further signs of wear to the conveyor belt. By maximising the efficiency in the wood chip materials conveyed and providing effective spillage reduction, the investment in Kinder Australia’s K-Snap-Loc® Dust Deal System has long term benefits. 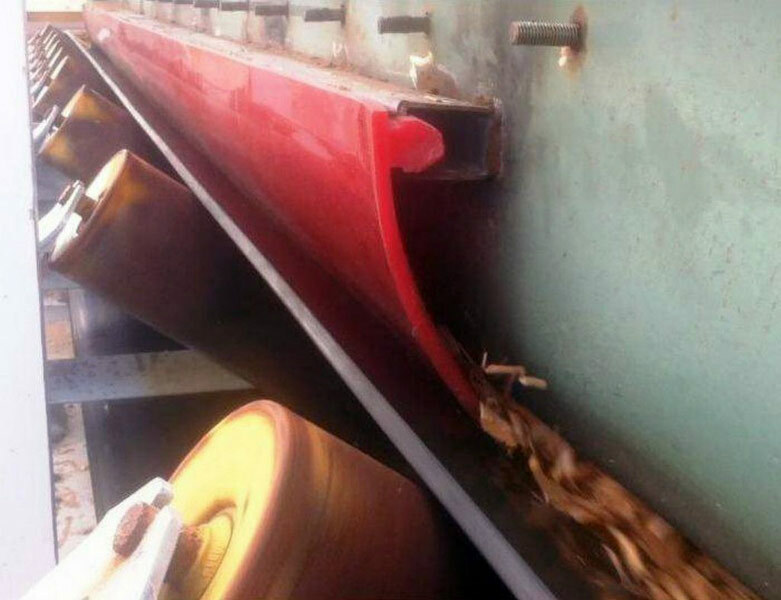 The use of the K-Snap-Loc® Dust Deal System ensures that wood chip material spillage and dust build up around the transfer points is removed and therefore maintenance time required to clean the area is reduced, ensuring that the conveyor can be ready reliably for loading without stoppages.